Kratom Nausea - How To Prevent & Cure? Did you know that kratom is one herb which works better than most drugs? 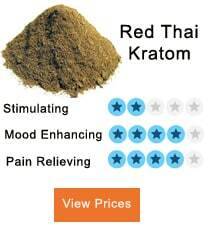 Taking kratom can reduce anxiety or depression, ease any pain and also boost your levels of energy. However, taken much of it can result in its side effects such as Kratom nausea. Kratom nausea occurs when the molecules of the herb bind themselves on opioid receptors. These are the receptors although not commonly known which lead to nausea sensation. Kratom requires you to take it in the right dosage or rather little bits, and the impact will be useful. 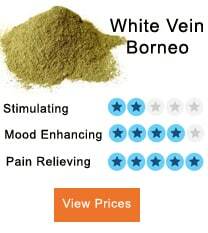 Much of kratom on the other extreme can help you get to sleep, relieve pain and also relax you. 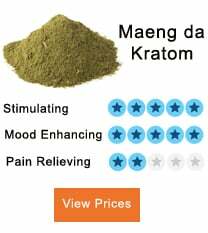 The queasy and nauseous feeling with excessive kratom consumption is not any exciting. This among the worrisome kratom intake side effects. At extremes, the nausea feeling can even lead to severe vomiting. The reason as to why kratom leads to nausea is not yet clear. But then before taking kratom to avoid its extreme effects, there are some things which as a user you should understand. 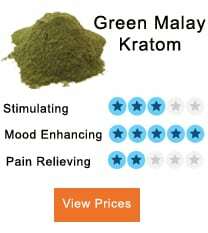 Kratom is a mild opioid. This means that it works by intensifying mu-opioid receptors and this is the same process morphine works within your body. Opioids are known to cause nausea and so is with kratom, and its nausea can come during the consumption period or after intake. Just like other opioids its believed that continuous intake of kratom can lead to the development of tolerance to such effect. Another reason as to why you might suffer kratom nausea is a case where the stomach is sensitive to kratom herb. Therefore, due to the herb reaction in your stomach, it can result in nausea then vomiting. The herb’s awful take is a reasonable cause of nausea. Reviews by users have ranked the herb as one of the most unfavorable things and shown this as one of the reasons as to why the intake of kratom causes nausea. If this is the case, you are advised to mix kratom with other flavored substances which are proved not to affect kratom effectiveness. Some of the contents you can combine with include: ginger, raisins, and turmeric which is easily available kitchen substances and have no impact on the functioning of kratom in the body. Apart from kratom nausea, intake of kratom and especially in larger amounts can result in other side effects such as confusion, loss of appetite, itching, dizziness and also hallucinations to the extreme. But kratom nausea is, however, preventable but how? Below are some ways to prevent yourself from suffering kratom nausea. Consuming much of kratom than required most at times leads to stomach sickness. Therefore, to avoid exposing yourself to such risk consider taking the lowest dose am sure it’s useful. Most people overdose the herb for lack of knowledge of the much they are supposed to take. To establish the much kratom, you should take start by taking only one gram then see the feeling it gives you. If the anticipated results are not achieved within the next 45 minutes of intake, consider taking a second gram. Once you begin feeling what you expected, stop immediately. Now take it from there the following day and maintain a gradual increase and put a stop when what is anticipated is like achieved. When determining the dosage, you should take, you should be very precise. Use a good scale such as the digital scale to establish the exact amount of kratom you should take. Even when you get that spot which serves you right, give it not less than four hours before next intake. 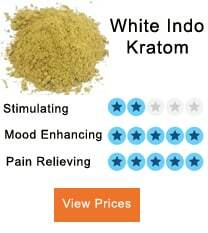 This will help you evade the adverse effects like kratom nausea. Also when you decide to change your suppliers or strains remember that the potency of the kratom can vary and therefore you will need to adjust your initial dosage to avoid the risk of the adverse effects. 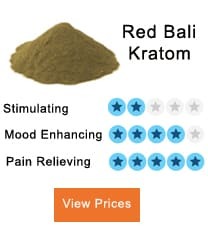 Until you are one of the experienced users of kratom, stick to one type of kratom and source it from the same source which you are sure is reputable. The body tends to absorb kratom beneficial alkaloids more efficiently when your stomach is empty. However, did you know that is the stomach’s recipe too? Taking some antacid about 30 minutes before you take kratom does not affect the kratom effectiveness can help ease nausea associated with taking kratom on an empty stomach. Also taking a very light meal after intake is important and helps in absorption of the kratom active components. This also helps prevent kratom nausea. Whichever way you choose to ensure that you do not at any point overeat. Food and kratom can have a very harmful effect. Food tends to gear up kratom, and this could result in something more uncomfortable even than the kratom nausea. Taking the kratom powder can have much impact especially on bringing up the kratom nausea compared to taking kratom tea. Once you take the powder directly, it implies that you have taken as the plant entirely including its fibers, waxes, chlorophyll among other components. However, these are not the components in kratom which bring out its unique effects but can easily lead to kratom nausea. On the other hand, when you prepare tea instead you end up filtering much of the ingredients not necessary and the water dry was all the active alkaloids. Henceforth, nausea gets reduced when you take tea instead of the powder. But if you must go for the powder intake directly, take very smaller amounts than you would have if you were using tea. Ginger from studies has proven to ease stomachaches and reduce nausea. To relieve kratom nausea with ginger, grid it then add some of it into your kratom tea. The outcome flavor may not be pleasing, but it’s better than taking dry kratom powder. Also if the effect is already actualized in your body and you are experiencing nausea, chew a fresh ginger slice, and you will get better.